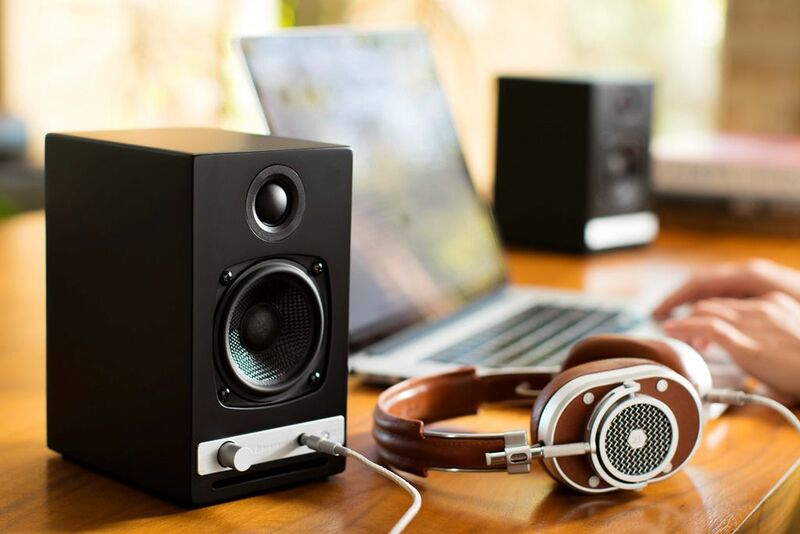 Are you looking for a powered speaker for your PC or laptop that is not (too) big; has a compact form factor and is very much capable of producing a lush, warm and great audio quality? 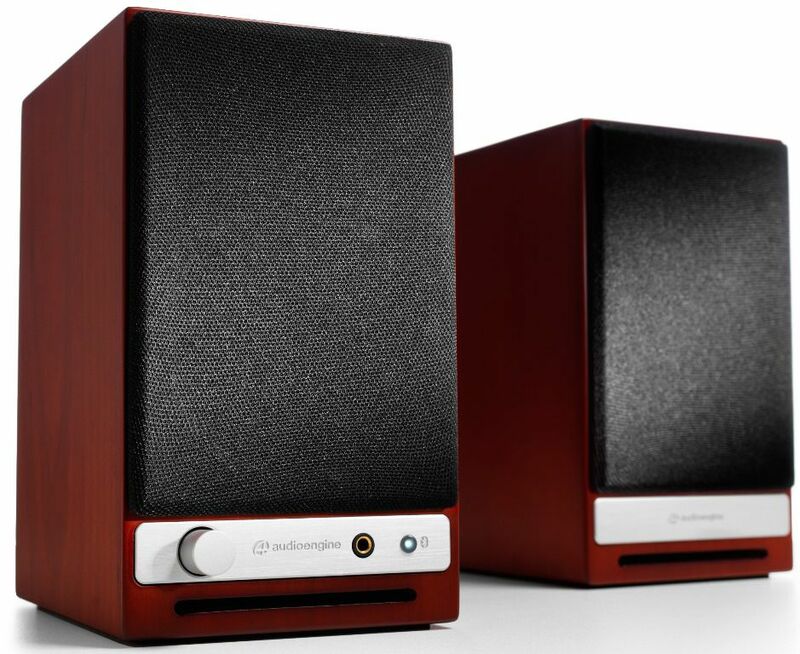 Audioengine, best known for their speakers, released a smaller version (little brother) of their flagship speaker HD6 – the new Audioengine HD3 powered bookshelf speakers. The HD3 sports similar features with the HD6, like Bluetooth wireless connectivity, multiple input options, Kevlar woofers and silk dome tweeters. On top of that it also has a headphone output that is not present on the HD6. The HD3 is described to have a fantastic sound quality, which in my opinion is better than the old Audioengine A2+ / A5+. 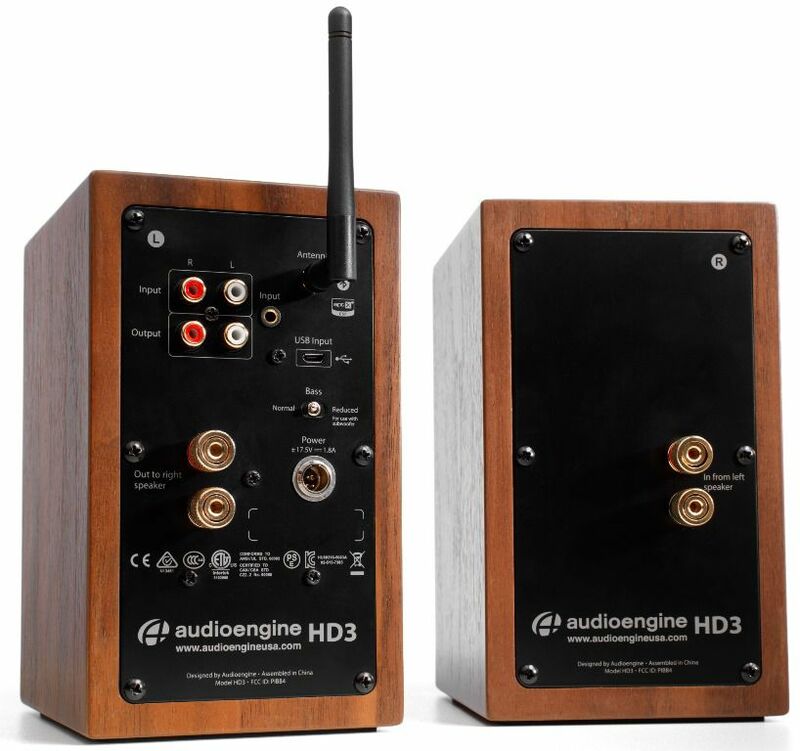 The Audioengine HD3 comes with an MSRP of $399 and you can grab one at Amazon.com here. In the meantime, more details about the new compact powered speaker below. Audioengine calls the HD3 as a complete music system that allows users to listen to all sorts of music from any source. 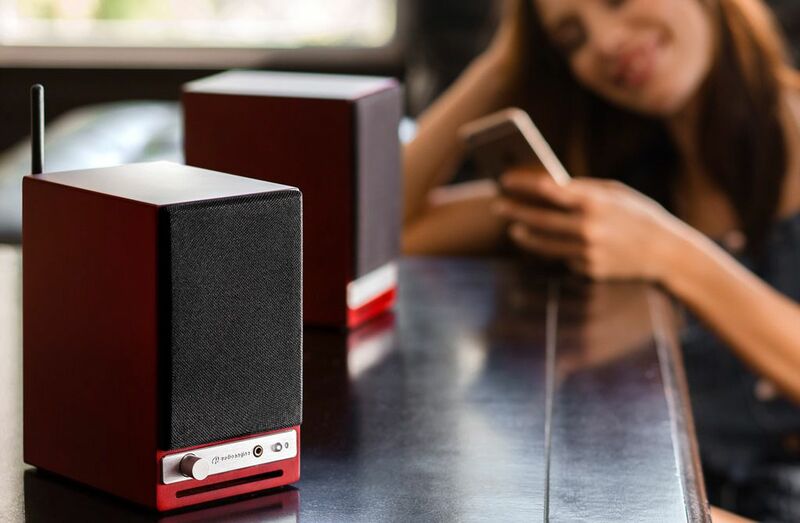 Audioengine’s co-founder Brady Bargenquest described it as a “classic speaker design with no plastic, full stereo sound, whole-house wireless and no setup hassles make HD3 the ultimate mini music system”. The Amplifiers on the HD3 are built inside the left speaker for an efficient mini stereo system that makes setup a breeze. You can connect your phone, tablet, computer, and turntable – and you can even add a subwoofer. Wireless setup takes about a minute as there’s no software to install, no apps to download, and no Wi-Fi passwords to enter. If you’re using HD3 at your desk, connect up direct to your computer with a USB cable for a high-end listening experience. But if you’re not keen on USB or wireless you can use one of the included audio cables. The Audioengine HD3 is not (just) a Bluetooth speaker, it’s just one of its connectivity options. The HD3 features a plethora of inputs including an analog and digital input; plus it has a headphone output – meaning it can also act as an external DAC/AMP for your PC. The HD3 features an audiophile-quality headphone amplifier that sounds great and drives even the most-demanding headphones. Like many of the latest Bluetooth-enabled devices on the market, whether speakers or source, the HD3 features aptX coding which makes audio quality via Bluetooth much better compared to plaint BT connection. For audiophiles with a very keen sense of hearing, they may be able to tell the difference between a BT and a wired connection. But for most consumers, it’s very hard to tell the difference between BT with aptX compared to a wired connection. The Audioengine HD3 features a 24-bit DAC PCM 5102 that both Bluetooth and USB inputs utilize. The PCM 5102 is used as an upsampling DAC and will pad all bit depths to 24-bits, achieving a higher signal-to-noise ratio and lower noise floor. Aside from the built-in DAC, the HD3 also contains a high-performance headphone amplifier based on the OPA2134 low-noise opamp. This amp is able to provide low-impedance, high-fidelity audio and a 2-volt output which easily drives a wide range of headphones. The HD3 features a class A/B analog amplifier with a monoblock design, located on the left side/channel. This is a more traditional speaker/amplifier configuration which provides excellent quality audio and greater flexibility. All circuit boards for the power and preamp sections are vertically mounted for maximum mechanical shock protection. Audioengine uses audiophile-quality, ferrofluid-cooled silk dome tweeters with neodymium magnets. Silk tweeters hold up well under high power and the edge-driven design gives very smooth response. The woofers are Kevlar woven glass aramid composite with rubber surrounds. Kevlar is obviously very strong, which means the woofer retains its shape when being driven at high levels. Both of HD3’s speaker drivers are directly magnetically-shielded. The HD3 cabinets are available in three different finishes; walnut and cherry veneers as well as satin black paint. The grills are detachable and are held by strong neodymium magnets, for further aesthetic advantages and a clean look. 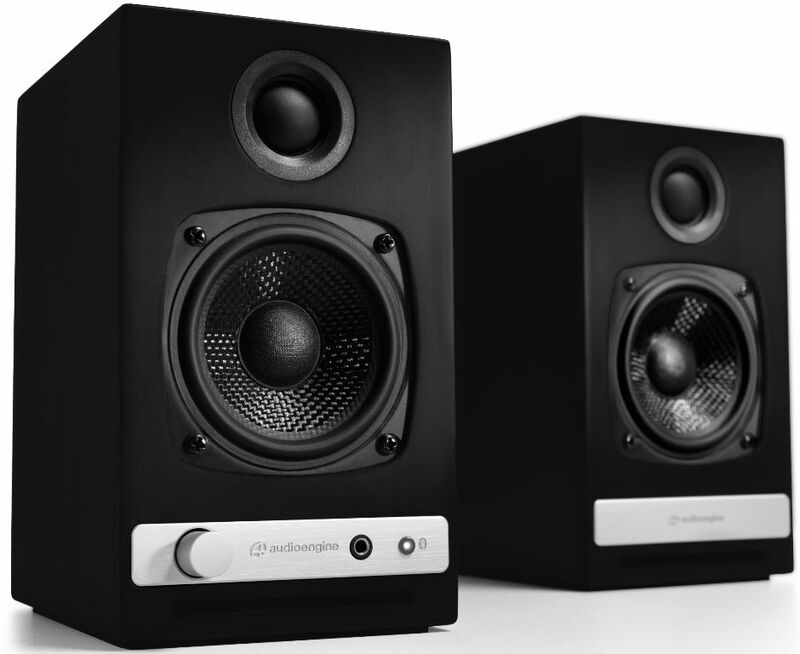 The Audioengine HD3 powered bookshelf speakers are now available in the US and comes with a manufacturer’s suggested retail price of $399. Audioengine offers a 3-year limited warranty on parts and labor from date of purchase. Check out the Audioengine HD3’s latest pricing and availability on Amazon.com here.